The Venezuelan people are starving. But their government refuses to accept help. “We are not beggars. I will not let our people be humiliated,” Nicolás Maduro said last week when he announced that the country would use military force to keep food and other humanitarian aid out of its borders. But Venezuelans aren’t worried about being humiliated. They are worried about starving to death. Hyperinflation means families can’t afford to eat. And since many stores can’t keep their doors open, there is little food left to buy anyway. 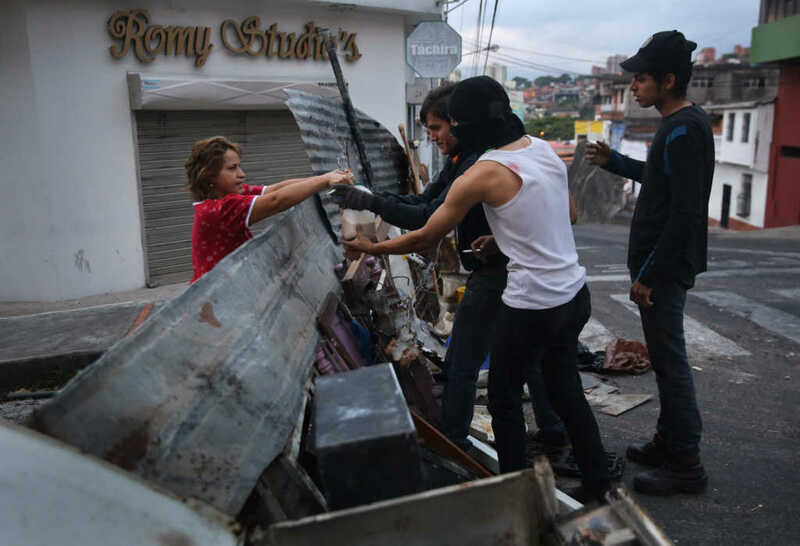 “We are tired of so much misery; of spending the day looking for food from one place to another,” one Venezuelan man told a reporter. Our humanitarian organization, World Help, currently has a network of trusted partners on the ground in Venezuela who are able to get food and other critical aid into the country despite restrictions. The smell of death and decay filled the air. He had heard what had happened at the local cattle farm, but he had to see for himself. As soon as he did, he knew the image would be seared in his brain forever. Cows lay slaughtered all over the ground, the meat stripped from their bones. Flies buzzed in droves. This was what hunger did to people. The people of the town, driven mad with hunger, had broken into the farm and killed all of the cows. They frantically grabbed as much meat as they could to take it home to their starving families. Can you imagine having to go to such shocking lengths to feed your family? “This may be the worst humanitarian crisis going on in the world right now,” our partner said. And the escalating political situation continues to grows more tense as citizens starve. The government may not want assistance, but the people of Venezuela are desperate for it. And we must do everything we can to answer their cries for help.